NBA scouts can spend more than 250 days per year on the road. How do they fill their calendars during the fall? The Crossover's Front Office examines the life of a traveling scout. 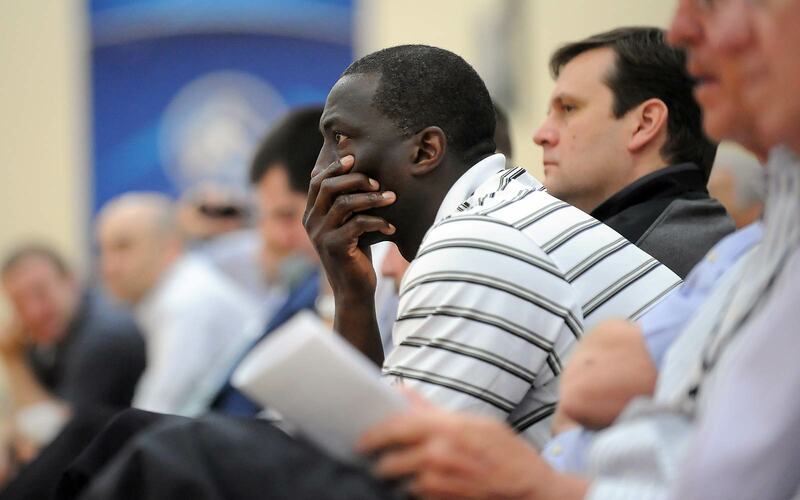 To be an NBA scout, you need to live and love basketball. Your brain can turn into mush after flying into Austin, Texas one morning to watch a Longhorns practice, driving 20 minute south to Texas A&M's facilities and then shuttling two hours north to check in on Baylor. The league’s top talent evaluators, though, can observe countless hours of often-mundane drills, log multiple player reports into their team’s database, put their head to a pillow and wake up and do it all over the next day. Scouts can spend more than 250 days per year on the road, limited to the confines of squeaky gymnasiums and stuffy hotel rooms. The Crossover's Front Office is here to provide an inside look at those seemingly endless travel itineraries. Scouting trips began long before the college basketball season tipped off last week. Often times, general managers assign individual scouts a list of conferences and teams they must appraise well before the preseason commences. They’ve been writing reports on prospects since August—and that’s not including the surplus of late-summer 2019 scouting opportunities at events like Adidas Nations, the FIBA U18 European Championship and varying invite camps hosted by stars like Steph Curry, LeBron James and Chris Paul. Most teams’ staffs will compile an index of roughly 50 elite players in this year’s class with legitimate first–round potential and start collecting personality intel earlier than college programs are allowed to practice. Once those gym doors open, evaluators start flooding in. “The fall is your first glimpse. I think it’s crucial,” says one NBA scout, speaking on the condition of anonymity. “I think it’s a missed opportunity if you’re not at practices. It’s so intimate and you get to watch how players interact with their teammates and how they approach drills.” Those early sessions are also an opportunity to cross-reference the reports teams already have on file. If a player was previously graded as a weak ball handler, for example, but he’s flashing a dynamic dribble attack in October, teams will note the contrast in the prospect's dossier and closely monitor it during the season. It’s important to thoroughly plan each visit beforehand, utilizing contacts within programs with whom scouts have built relationships with over the years. You’ll be hard-pressed to find an experienced scout that doesn’t have a connection with at least one member of a college coaching staff. “Maybe not at Western Florida State,” says one scout. But in those rare instances, it’s typically easy to find a mutual friend in the industry who can help with an introduction. Pro days have also changed the fall scouting landscape. In October, Kentucky, Alabama, Auburn, Louisville and UNLV all hosted scouting exhibitions for the entire NBA to observe—the Cardinals proceeded business as usual despite head coach Rick Pitino’s role in the FBI’s NCAA investigation. “You try to send one or two of your guys,” says a scout. The context of the small sample size is a vital element, however. “You’re not going to pro day because now you don’t have to go to a game. You’re going to a pro day to see their size, if they shot the ball well, with what form, how hard he practiced.” Few scouts The Front Office spoke with were truly enamored by any of the prospects at those pro days—which might reflect the growing consensus that 2018 will be a top-heavy draft class. As with pro days and early-season practices, those initial observations create a benchmark for a player’s in-season development. Scouts will report on prospects’ body types and conditioning, as the college season is often players’ first opportunity to build muscle specifically for basketball under the eye of a devoted training staff. From there, it’s vital for scouts to maintain a line of communication with team staffs, discussing prospects’ growth throughout the season. “Most coaches aren’t going to tell you the truth early on,” a scout says. “You’re not going to get an all-inclusive answer, but you may get a sneak peek of ‘He’s really working hard and we’re gonna look to get him minutes.’” And, if that player ultimately starts the season locked on the bench, scouts can suss out whether the coaches were withholding the truth—a critical aspect to remember for late-season conversations—or if a player hasn’t progressed the way they and their teams hoped he would. Those notes are reported into the team’s aforementioned central database. Some teams subscribe to RealGM’s service, an Excel-type program tailored specifically for prospect evaluating. Other teams use in-house or hired independent programmers to create their own. Scouts will type up detailed reports, usually organized by categories, for example, detailing a player’s family background, injury history, skill developments and other areas. In the few hours when scouts aren’t engrossed in all of the above, they’re tasked with scouring film on international prospects as well. “When you’re preparing your board, you need to have your full context,” one scout says. “To make the decision whether you’re gonna draft Miles Bridges over Luka Doncic and vice versa.” Teams’ international staffs have traversed the globe throughout the fall, too, with overseas leagues full of elite international prospects beginning well in advance of the college season. “We really grind on the top leagues,” says a scout. “Whether it’s Spain, Russia, the Euroleague, the EuroCup. You’re just trying to get in as much as you can to get a feel of what they’re doing and how they’re progressing.” In other words, it's equally important to track Real Madrid as it is Villanova. Like we said from the jump, scouting basketball is far from an easy task. There isn't a lot of glory in constant travel, endless notes, and countless hours spent on WhatsApp. When your favorite team selects Robert Williams or Collin Sexton in June, just remember how much painstaking evaluation preceded that selection.